Aishah Alam has performed around America for both Muslim and Non Muslim crowds hoping to voice the struggles of humanity and provide a solution to many of the problems we face today. Aishah Alam also known as ‘Just Aishah’ is a spoken word poet born and raised in England. Aishah is currently a student at Mishkah Islamic University and has a passion to learn and teach people the truth about Islam. She is co founder of the The Strangers project which is a spoken word movement fighting islamophobia through clearing up misconceptions and reviving the message of Islam. 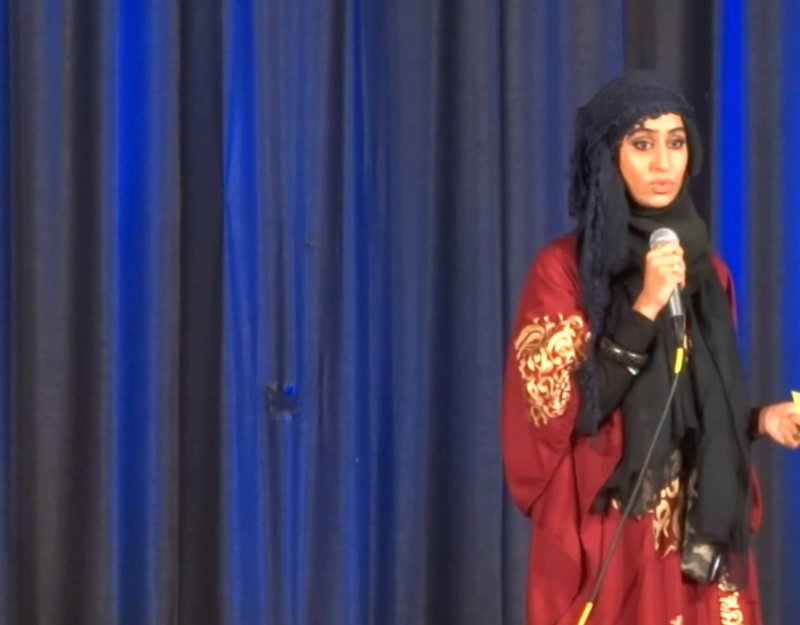 She heads both branches of The Strangers; one which is focused on the arts, specifically poetry through doing slam competitions and open mics and another which is focused on giving back to the community through helping those in need such as the homeless and visiting nursing homes to show that Muslims truly represent love and peace.